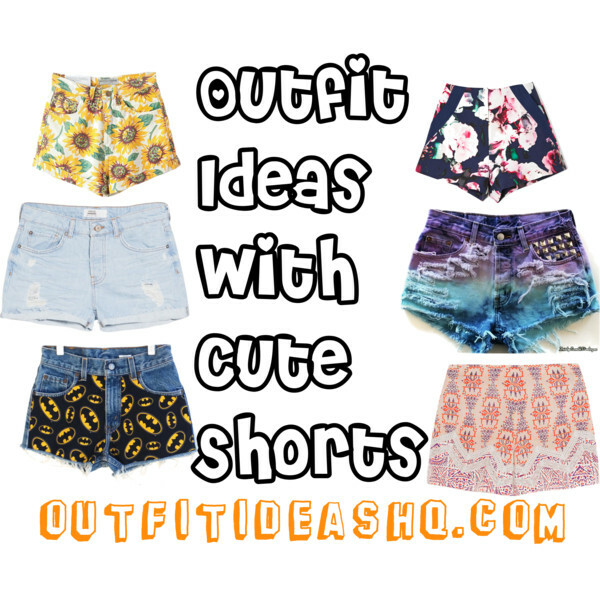 Who doesn’t love cute shorts? The simplest yet chicest way to style a foliage print shorts is by pairing it with a light pink top or cream top with comfortable flat sandals to achieve a comfortable look. Look dainty and girly with an all-pink look. Got a pair of pink glitter shorts? Now’s the time to pair it with ruffled layers cropped top and pink ballerina flats. Pair your floral print high-waist shorts with feminine cotton-blend cropped top and matching flats for that casual daytime look. If you have a border stripe shorts such as this one, choose your top from one of the colors on your shorts to achieve a polished look. Complete your outfit with thong sandals and a cute tote bag for a pretty laidback look. Plain colored shorts? Wear a printed top to upgrade your look a bit. Look fabulous by picking a bikini top to go with those hot summer days. You can easily wear shorts to the club or a party just doesn’t choose a denim fabric. You can try a silk one because they look so fancy and chic, which you can easily pair with high heels and a pretty top. Combine edgy and girly with leather shorts, girly top and pink canvas shoes. If you have a really cool pair of denim shorts, wear a simple top and ankle boots for a comfortable street style look. You could never go wrong with pairing your printed shorts with either a black or white top. Black lace shorts with a turtleneck sweater, accessories and black Chelsea boots with chunky heels.